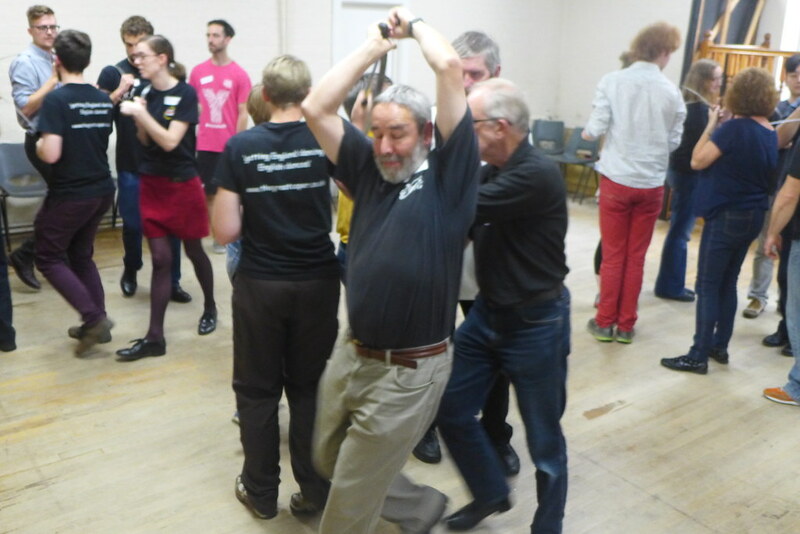 Sunday 2 November saw an idea that had been a long time in the making finally come into fruition. 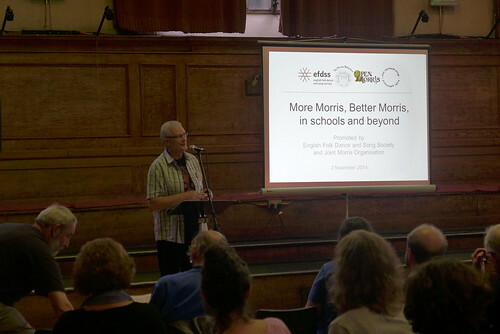 Co-presented by the English Folk Dance and Song Society (EFDSS) and the Joint Morris Organisation (JMO), More Morris, Better Morris, in schools and beyond combined vibrant practical sessions, led by some of the most influential educators in the morris world, with a frank and honest look at the morris scene as it is today, how it is perceived and how we go about representing and introducing the tradition to others. 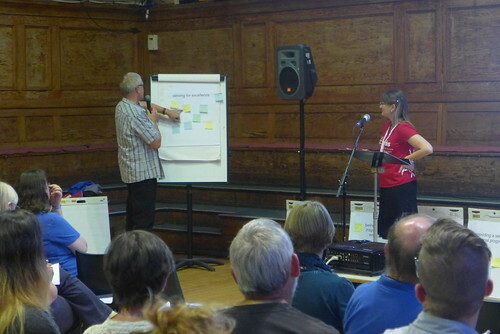 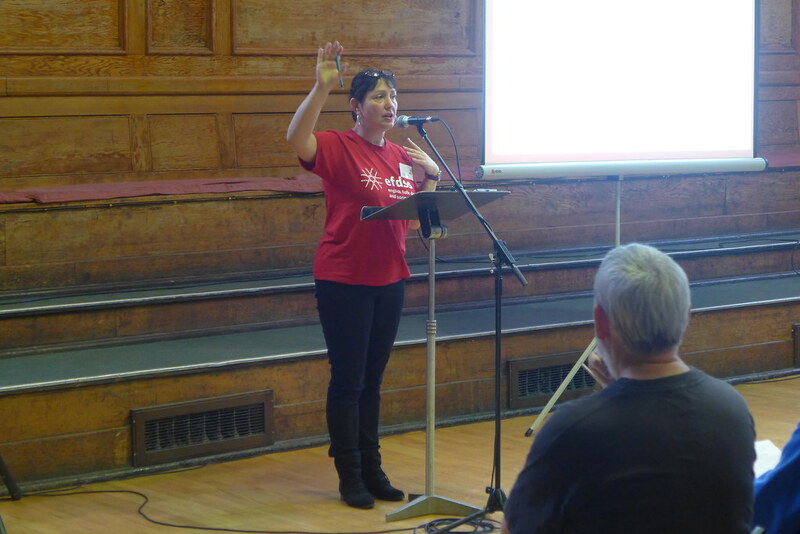 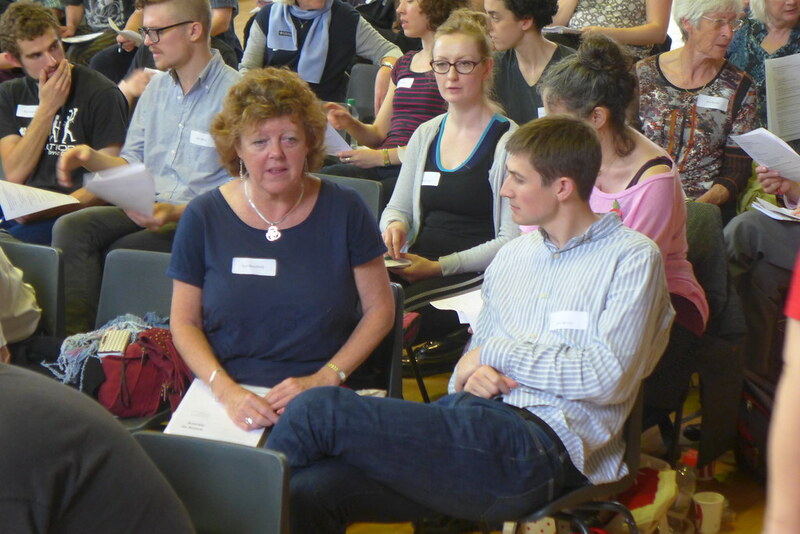 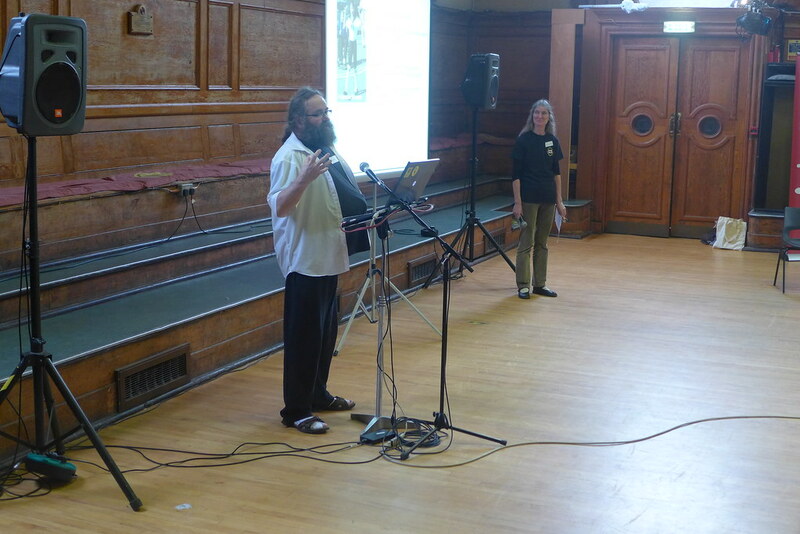 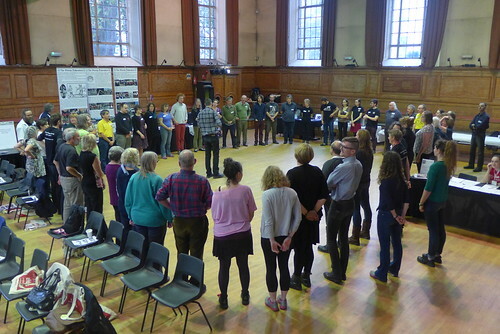 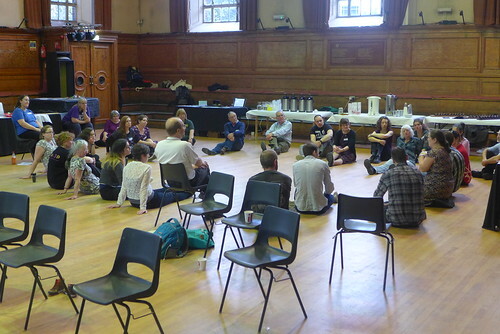 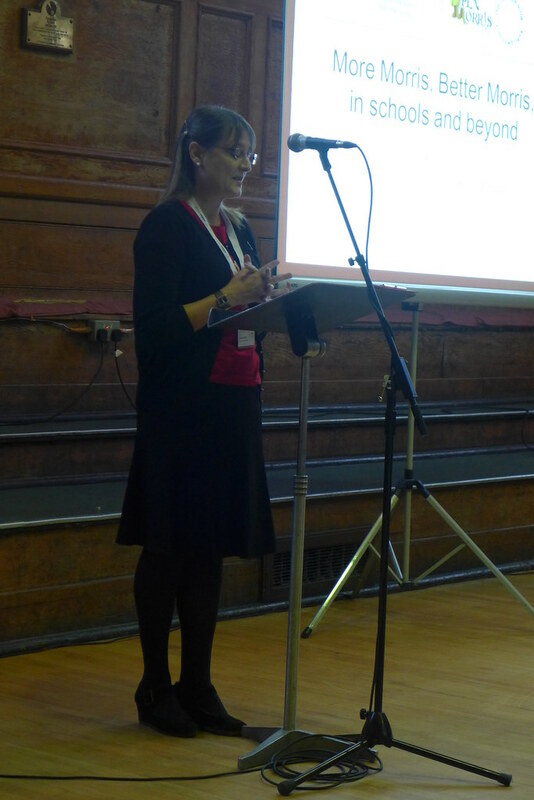 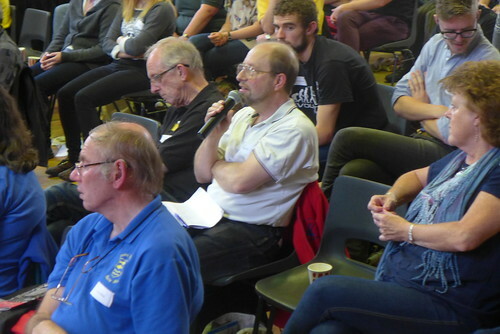 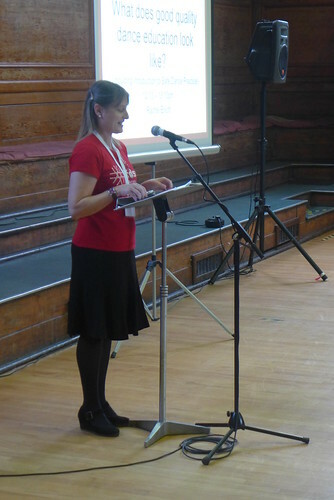 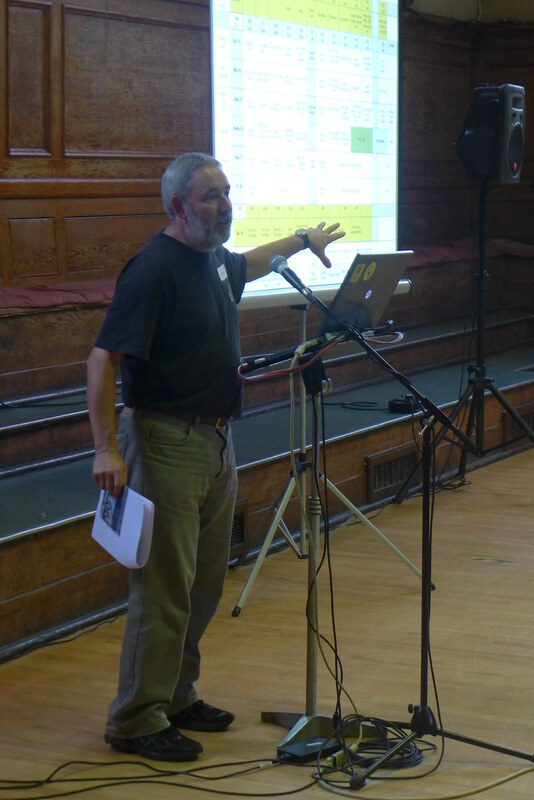 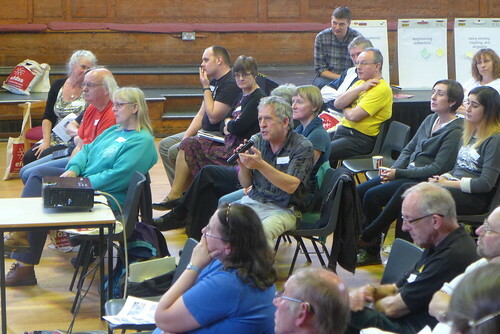 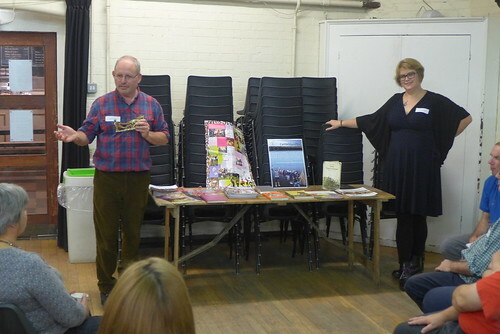 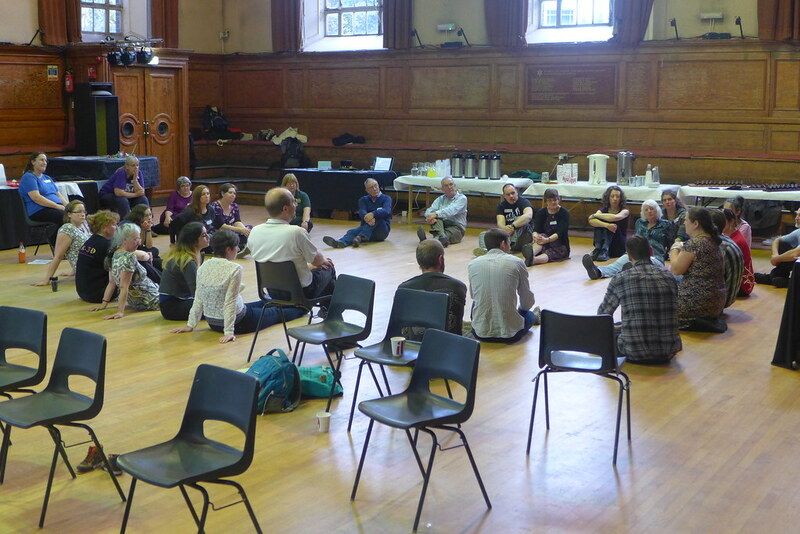 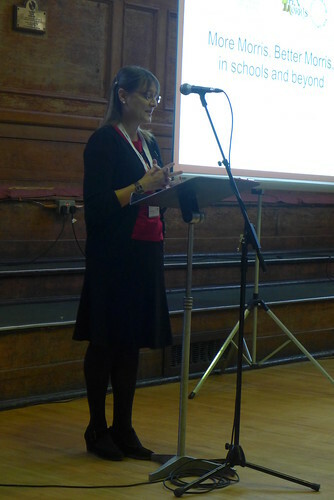 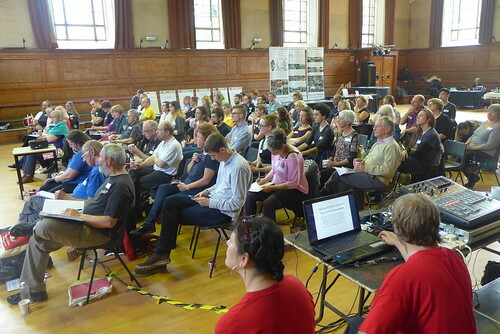 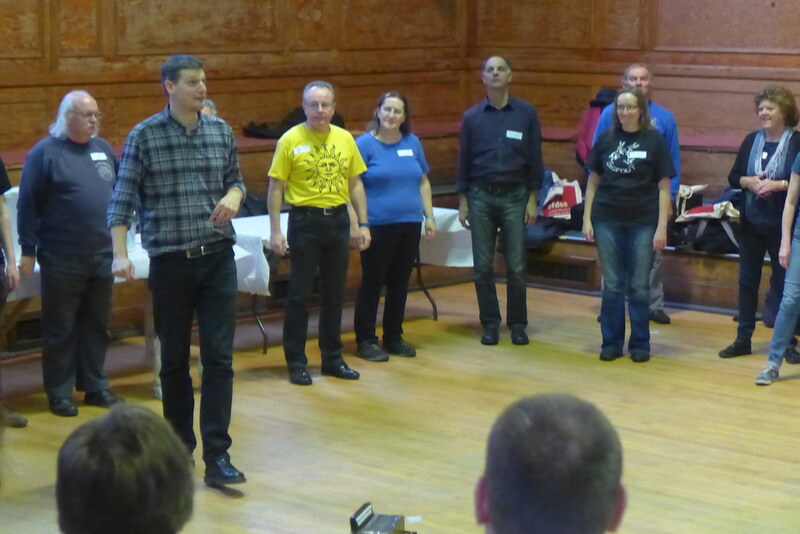 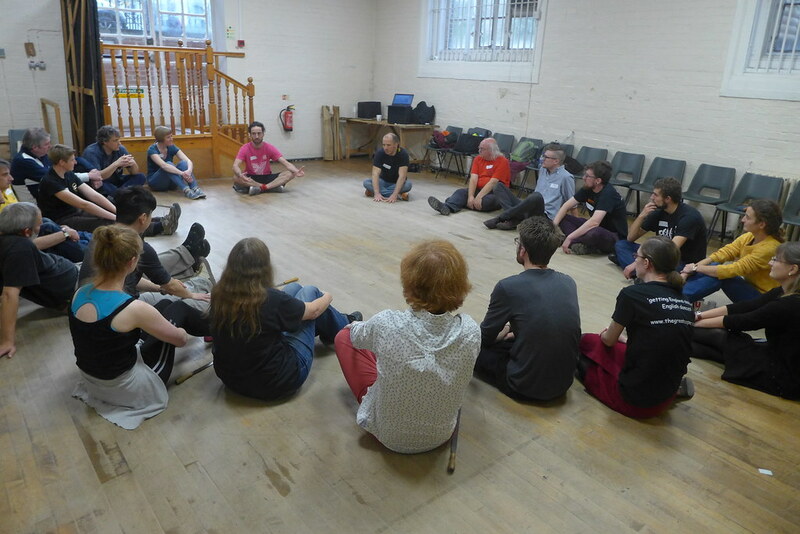 Introductory speeches were given by Barry Goodman (former president of the Morris Federation), Rachel Elliott (EFDSS Education Director) and Kerry Fletcher (EFDSS Folk Educators Group Co-ordinator), who between them were the driving force behind the conference. 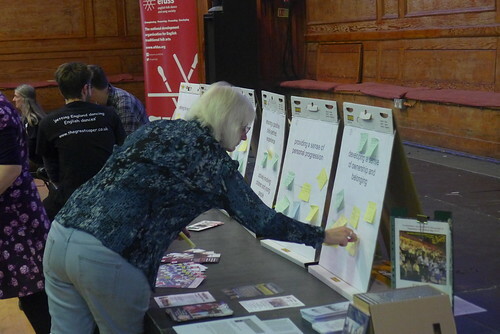 Rachel invited those present to consider a list of seven ‘Quality Principles’ conceived by Arts Council England, principles that formed the core and gave direction to the thoughts and discussions that blossomed throughout the day. 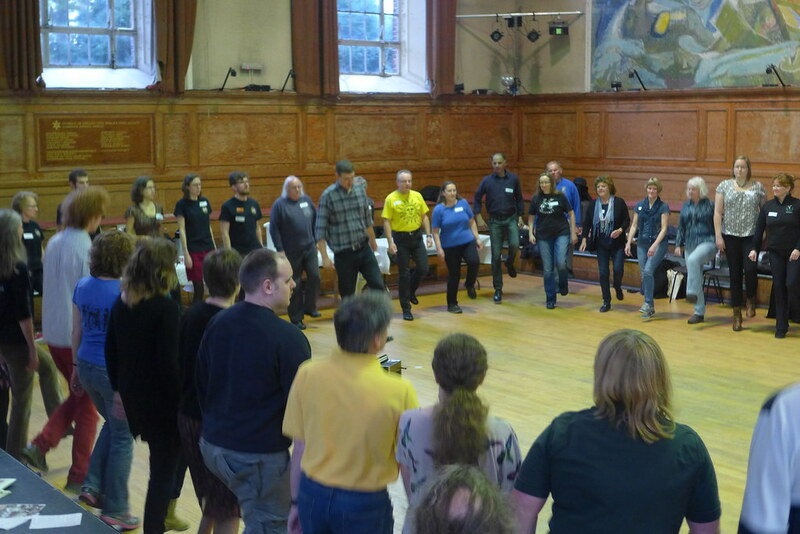 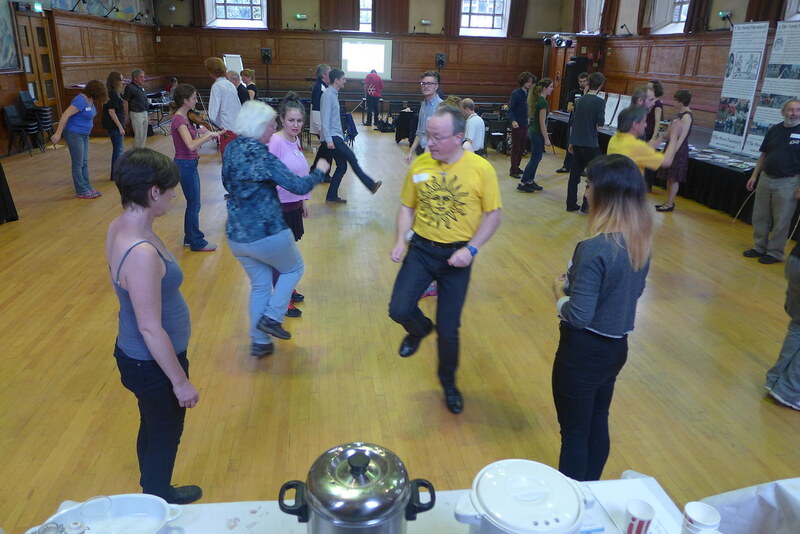 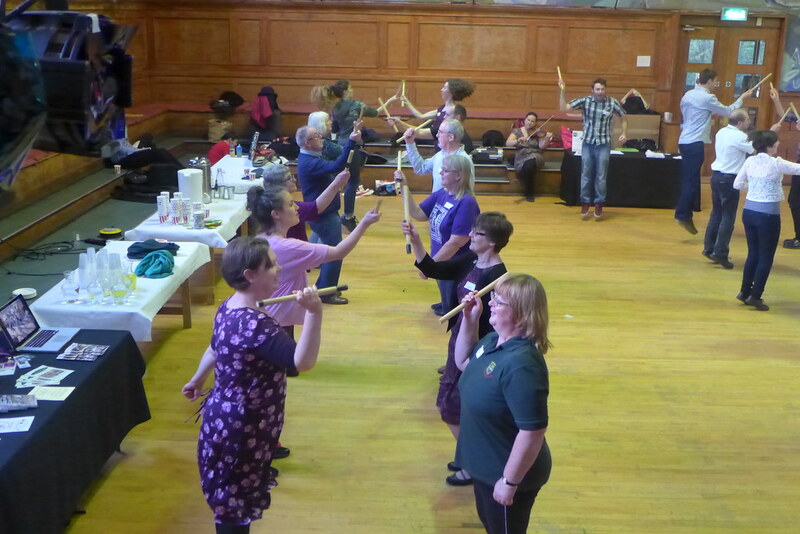 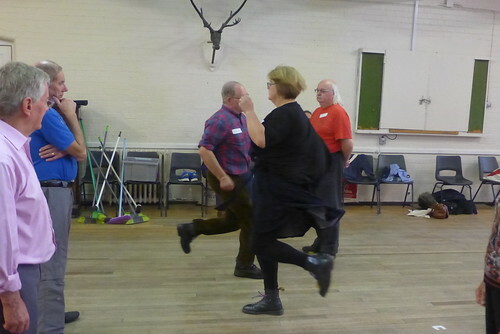 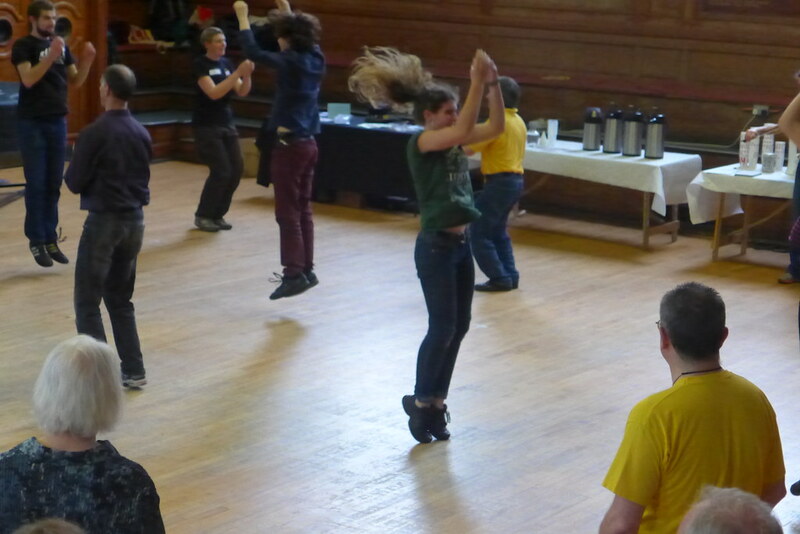 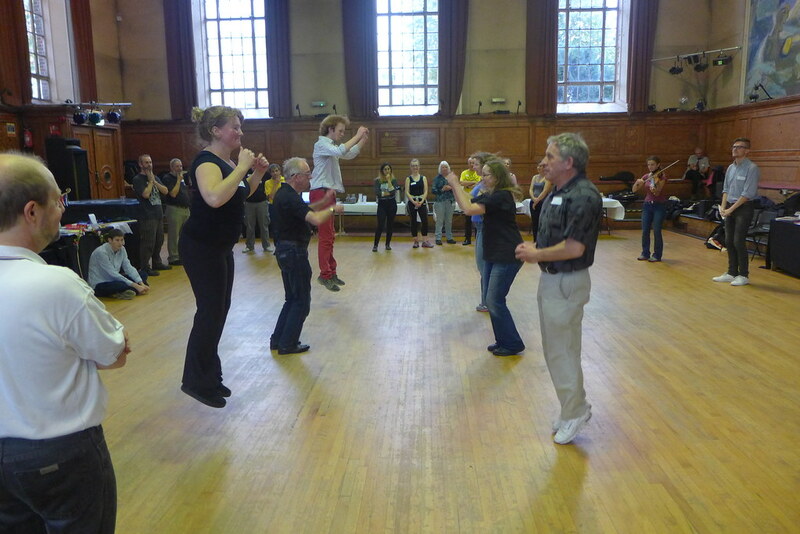 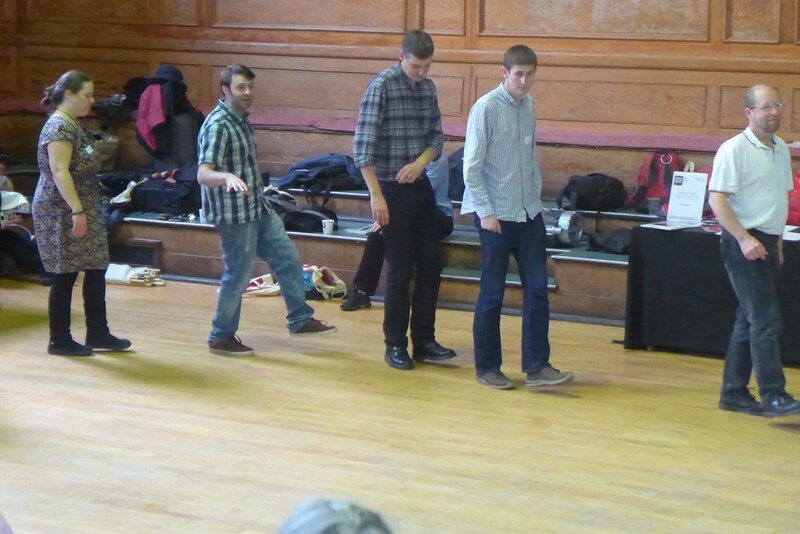 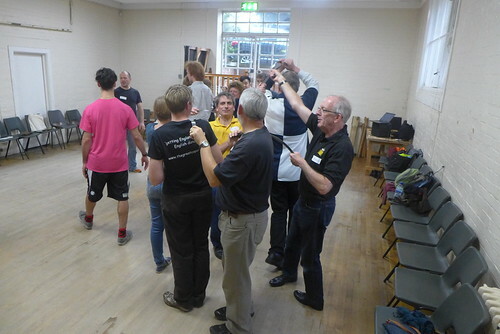 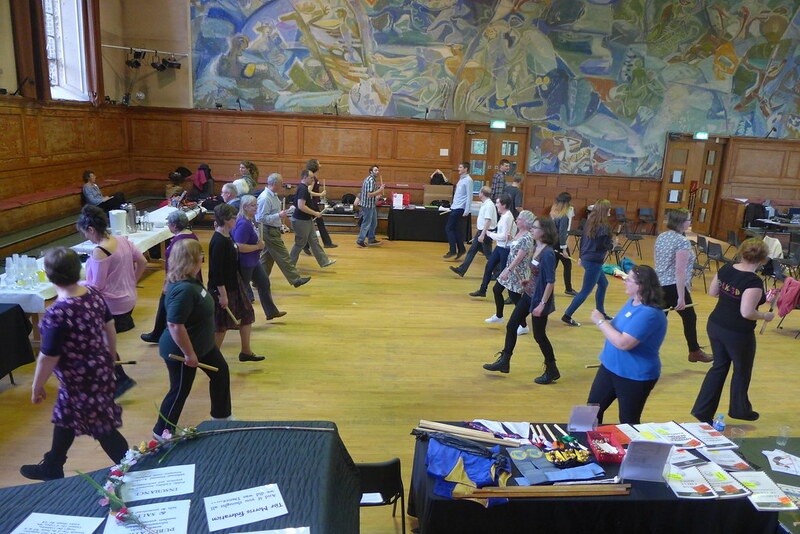 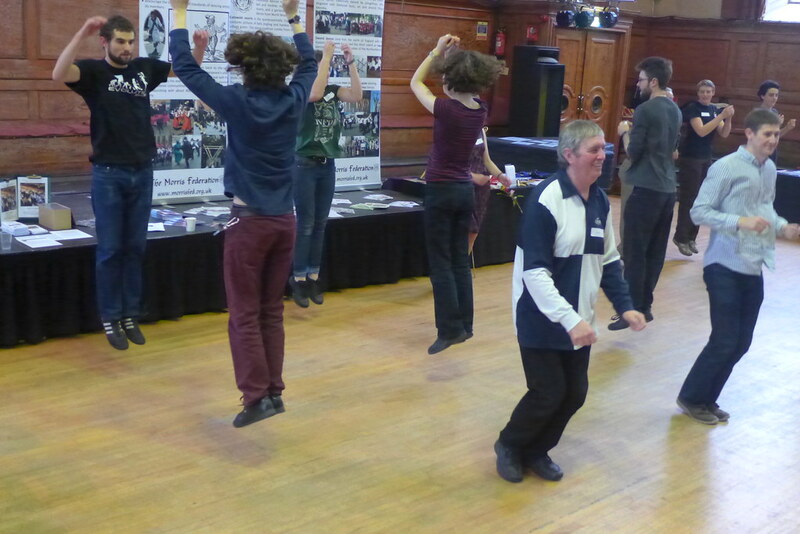 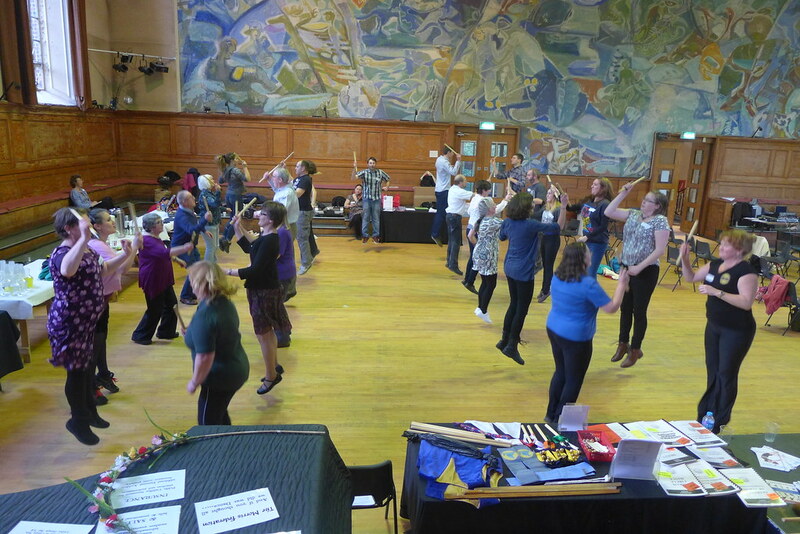 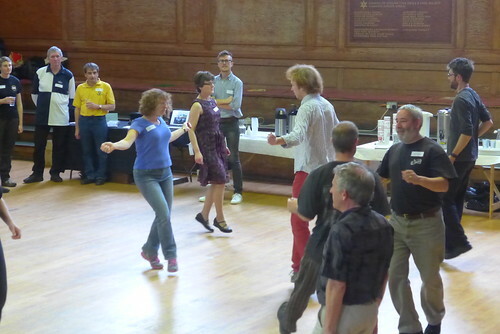 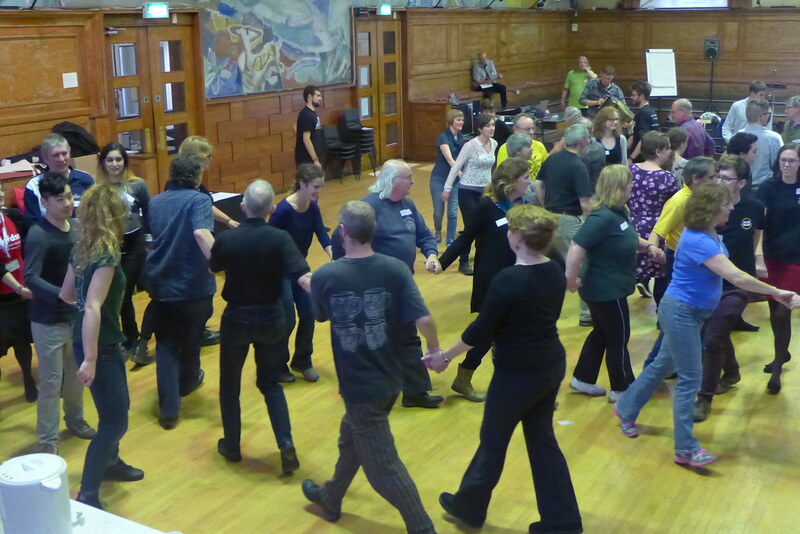 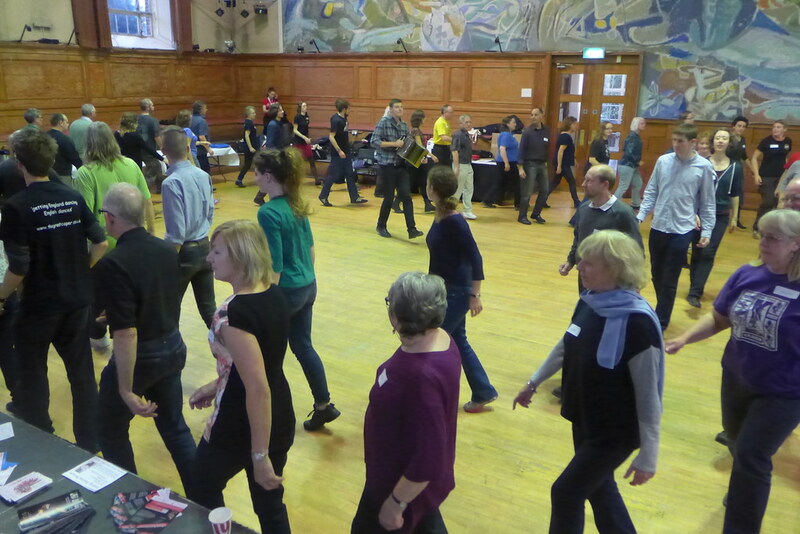 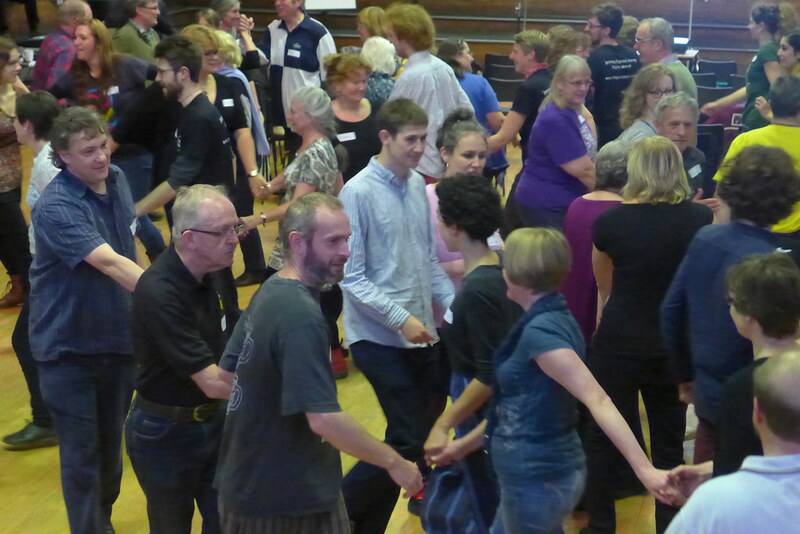 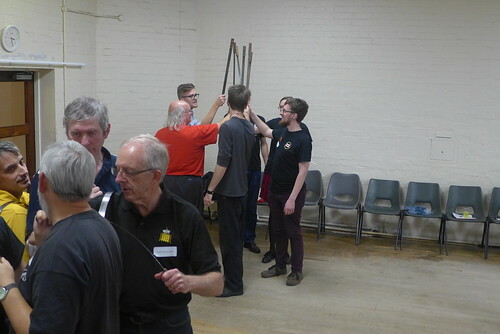 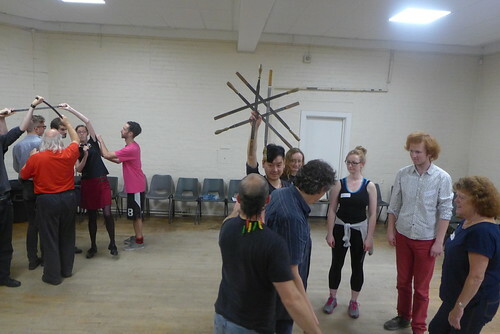 Having already set trains of thought in motion, what followed was a perfectly balanced day of insightful presentations, inspiring case studies and shining examples of effective and engaging morris workshops. 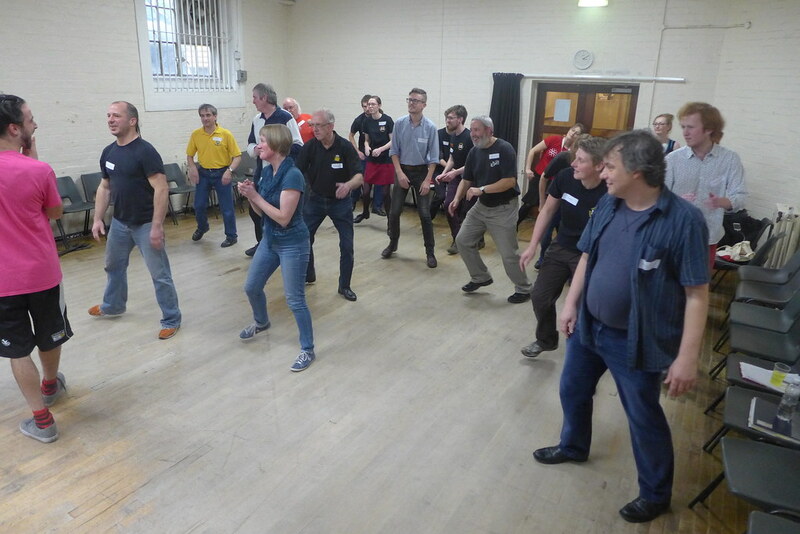 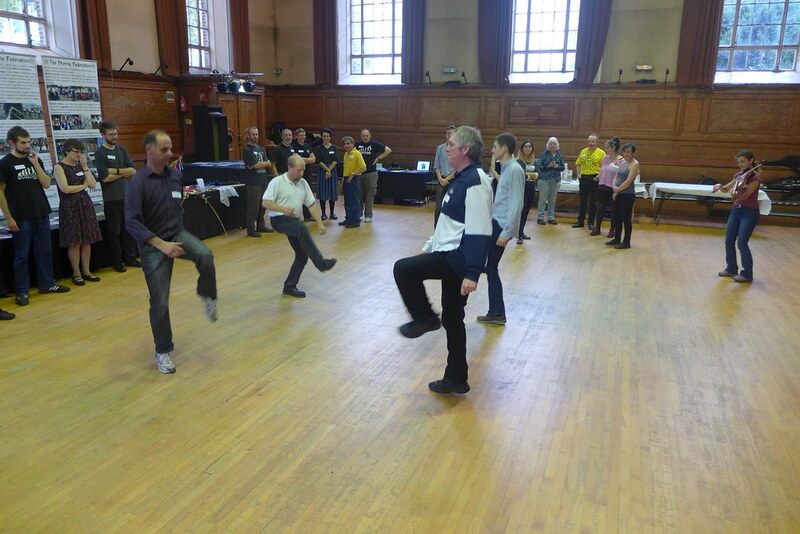 Following a fantastic practical warm-up with Liam Robinson, the delegates split off to partake in their choice of workshops. 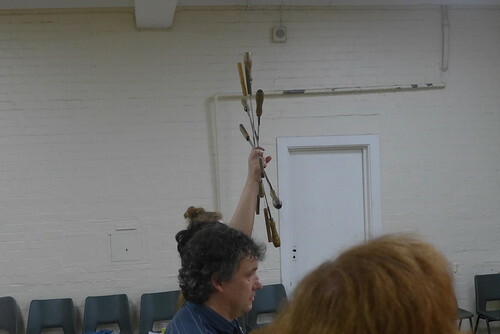 These included From Singing Games to North West Morris with Sue Bousfield; Laurel Swift and Ben Moss’s session on engaging children with Cotswold entitled Tradition vs Creativity; and a practical session with Gordon Phillips and Nicky Stockman, which considered Traditional Dance in Context: Engaging Schools and Their Communities in Heritage Projects. 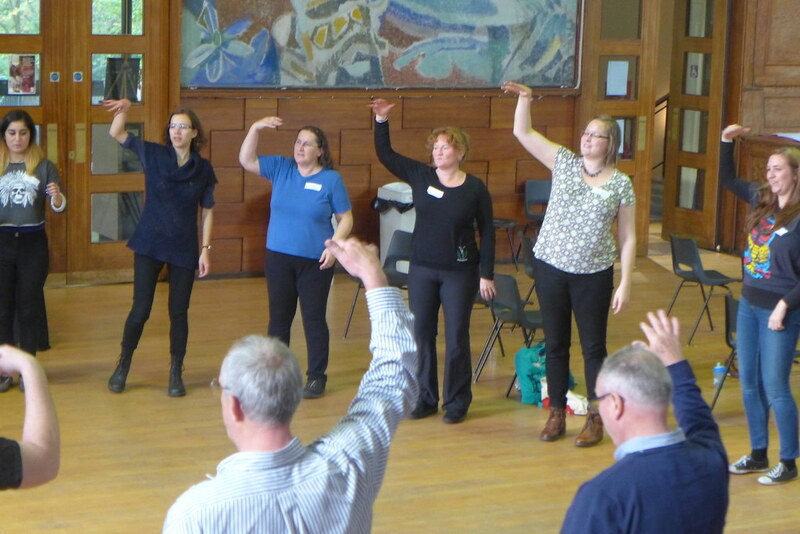 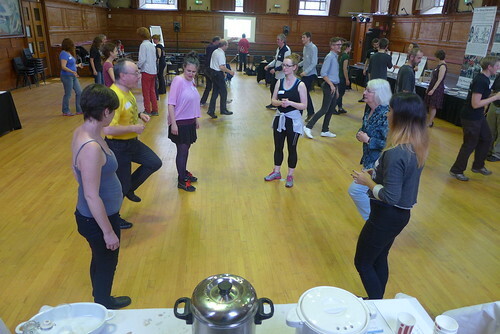 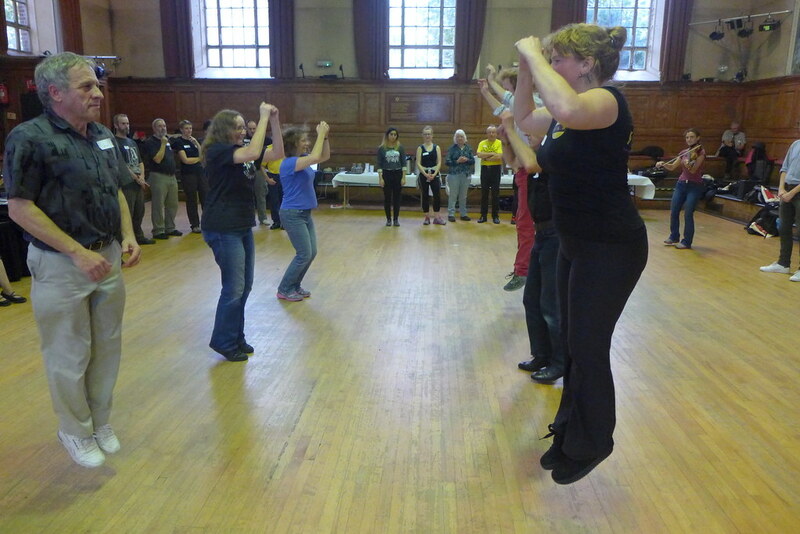 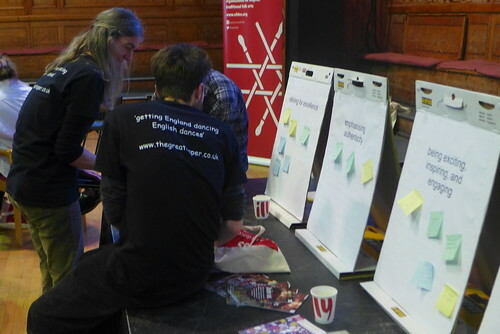 The points raised in these workshops were brought together beautifully in Rachel Elliott’s presentation on a central question of the day – “What does high quality dance education look like?”. 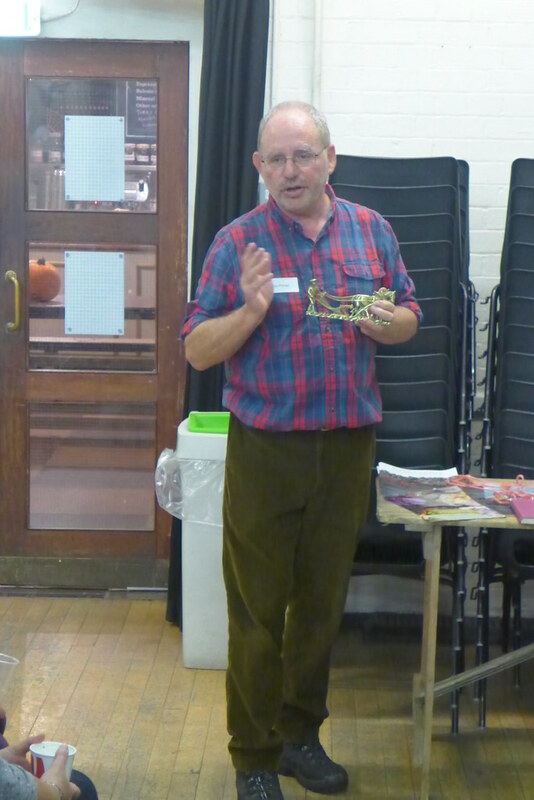 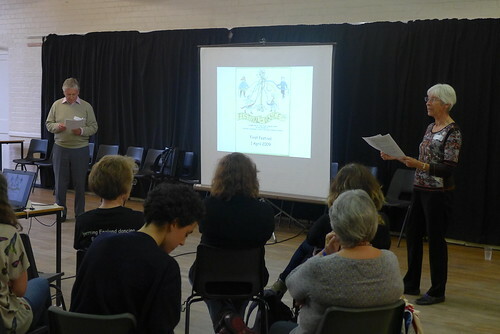 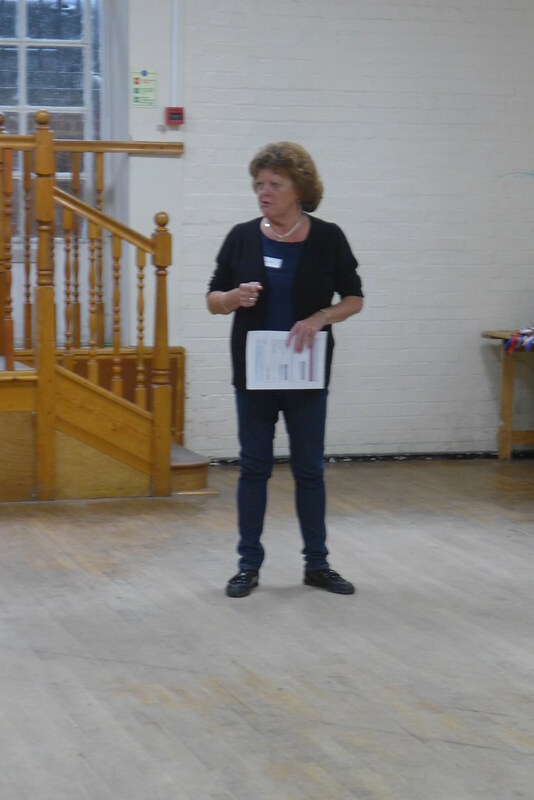 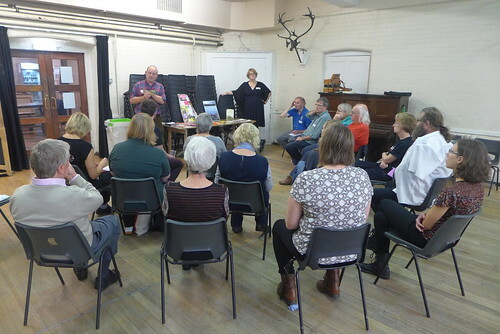 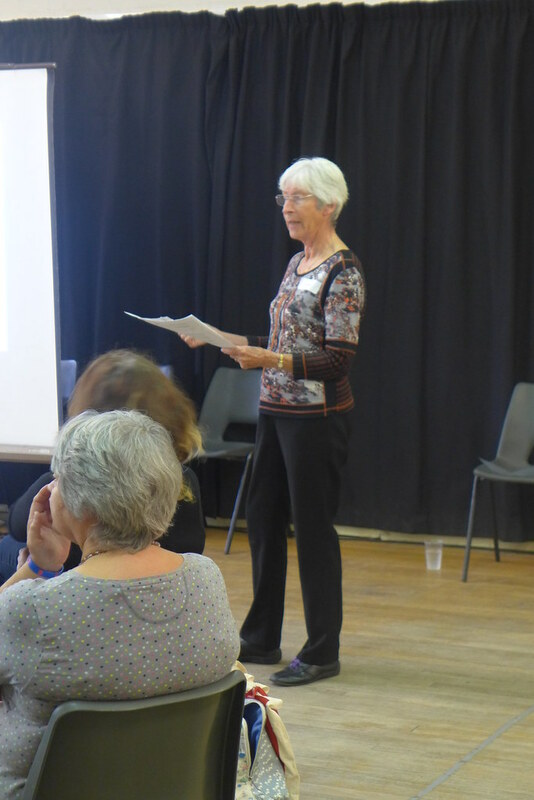 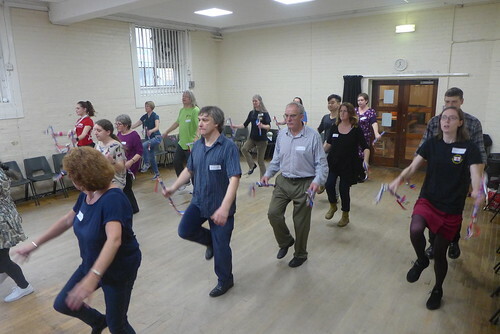 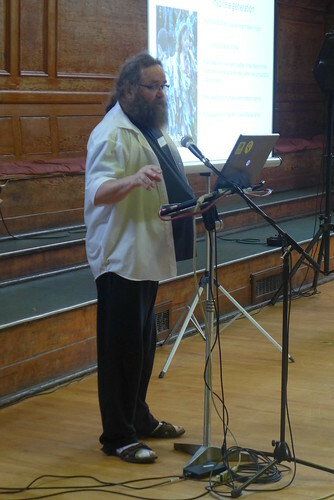 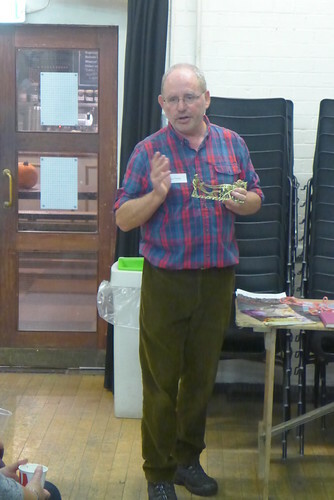 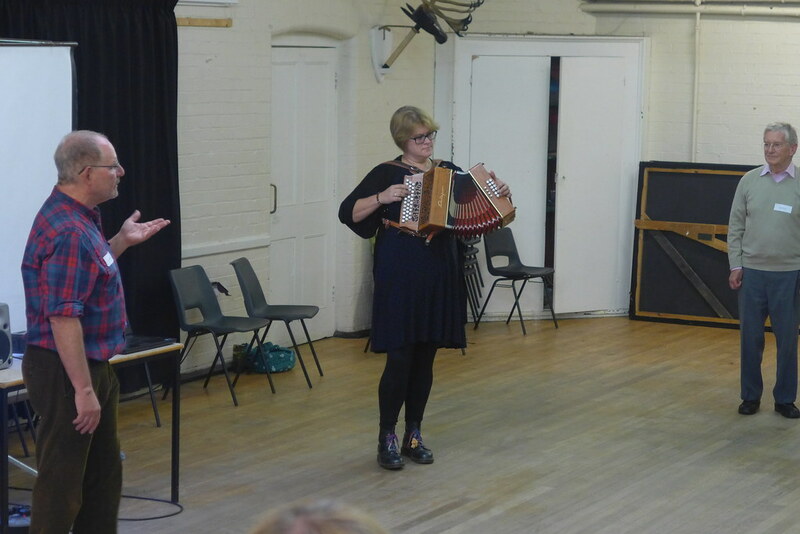 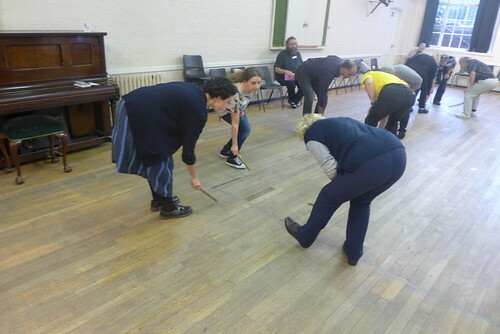 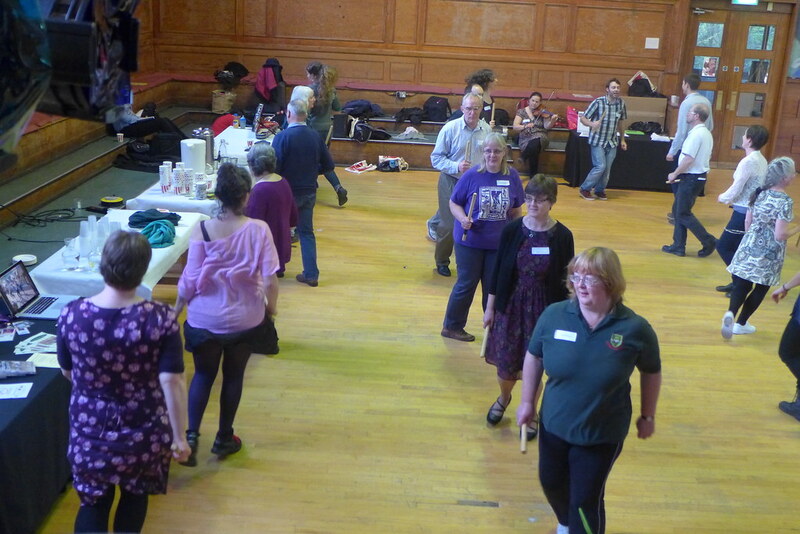 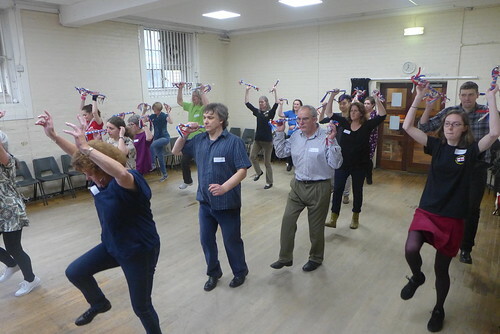 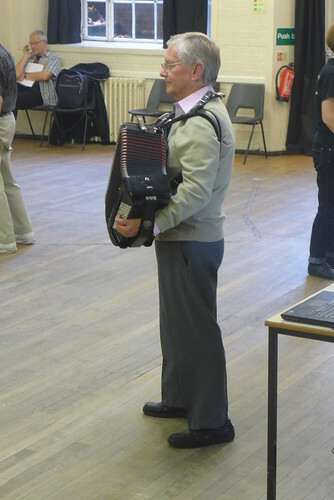 The talk featured an overview of what is currently found in the National Curriculum concerning dance, and how morris can and should fit into those terms. 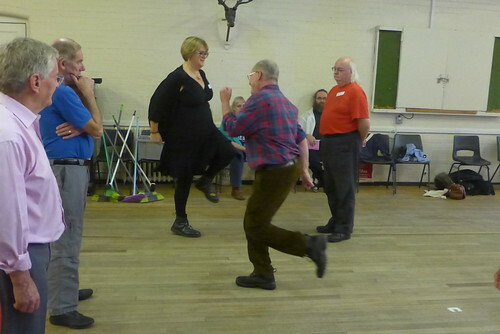 This led to elaboration on the benefits of dance in education, an introduction to safe dance practice and an honest consideration of educational approaches to morris that just don’t work, alongside those that demonstrably do. 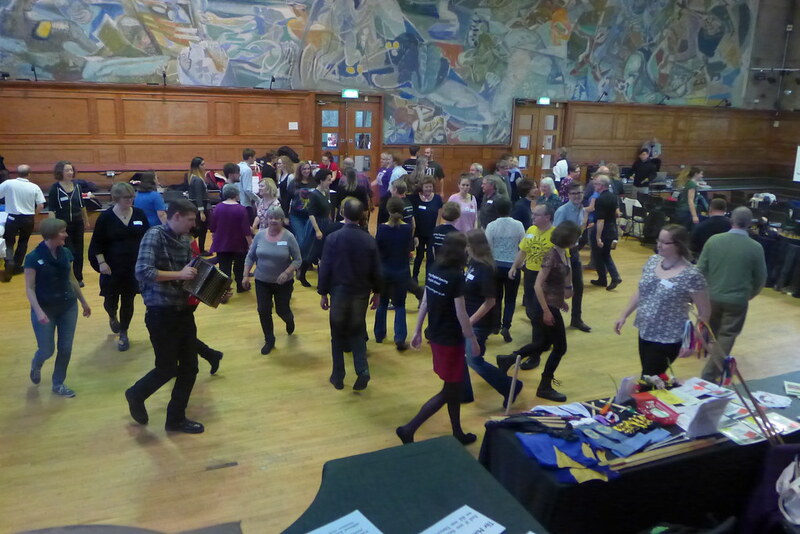 After lunch, two fascinating case studies were presented – Dinosaurs Not Allowed from Kim Woodward and John Clifford, followed by Dave Leverton speaking about the National Youth Folklore Troupe of England (NYFTE) – demonstrating proven examples of the successful engagement of young people in morris dancing. 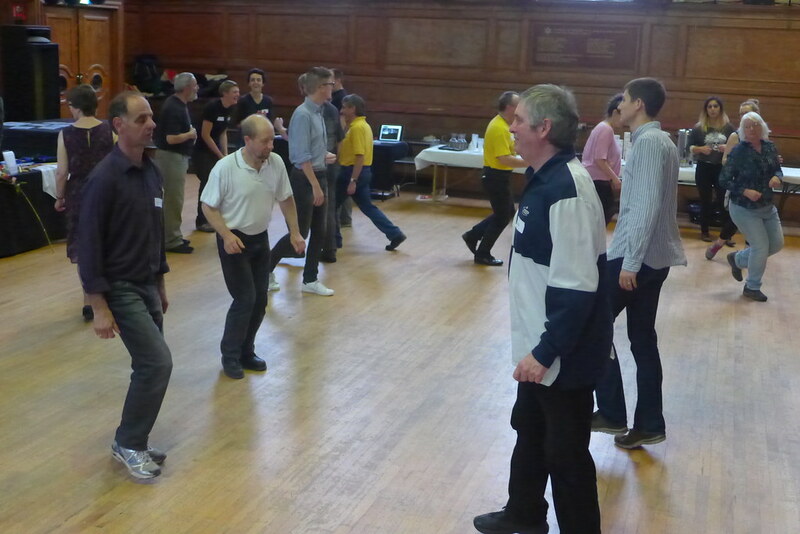 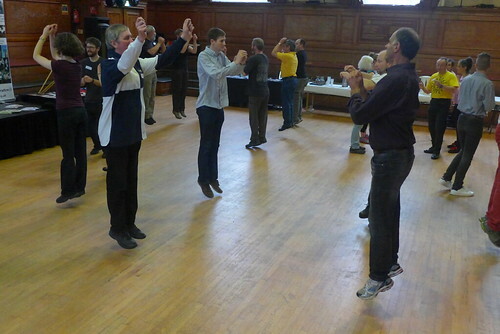 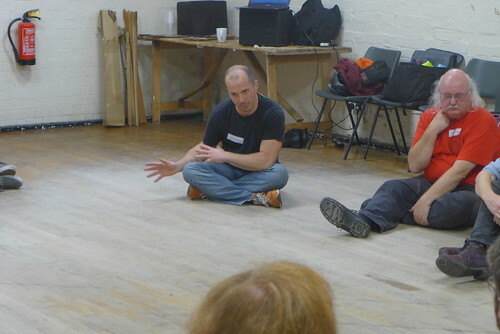 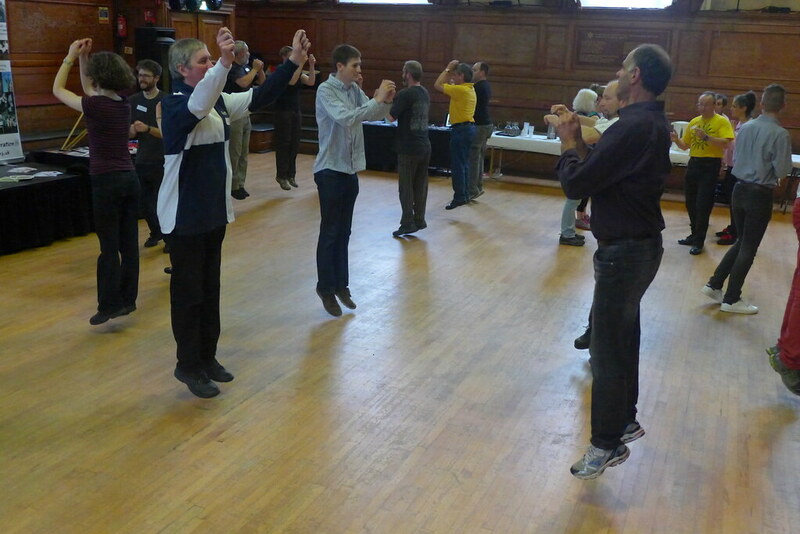 The final set of practical workshops got everyone back on their feet before the closing session. 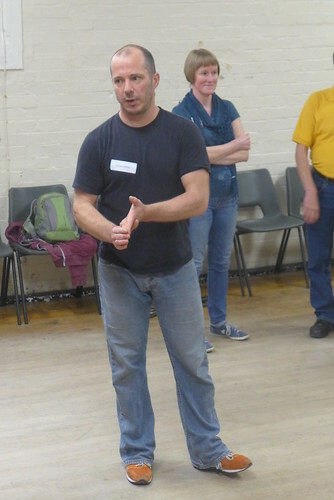 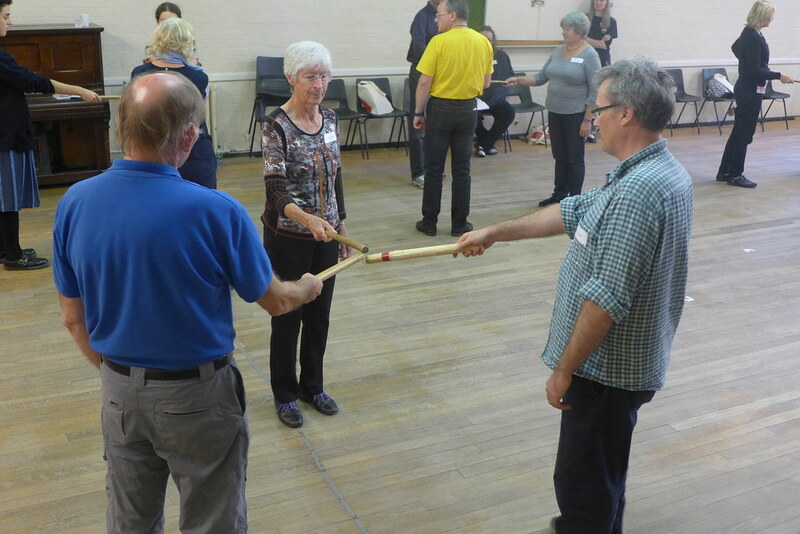 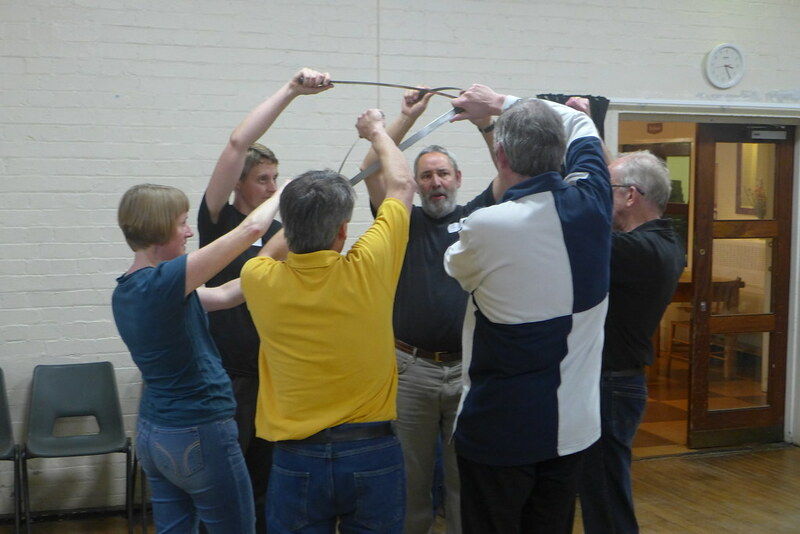 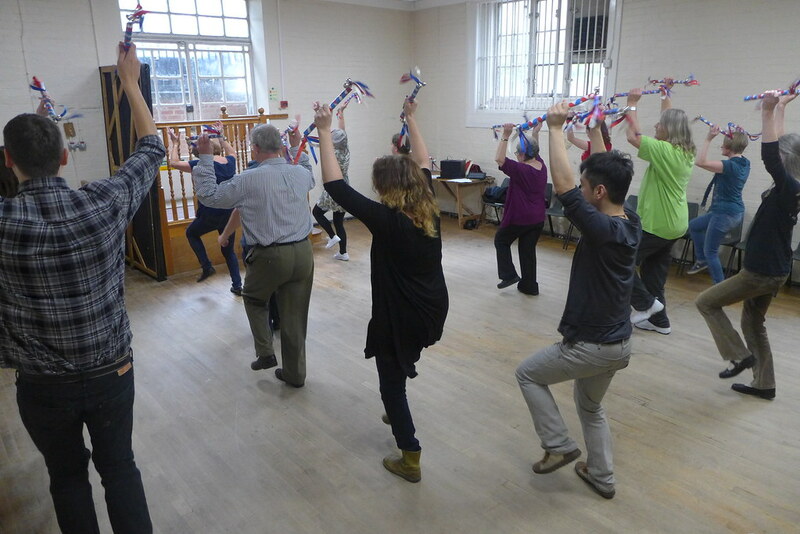 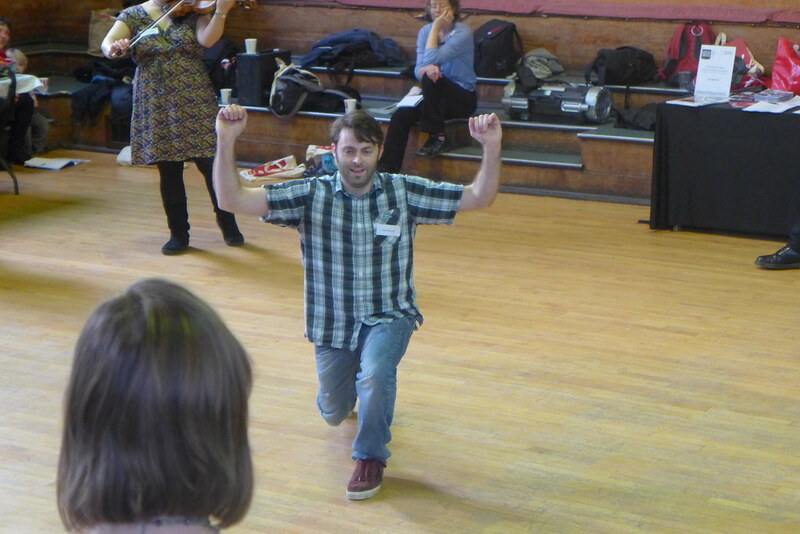 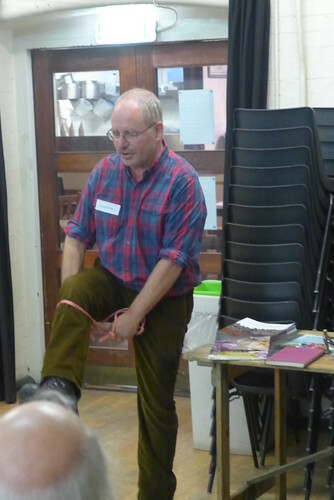 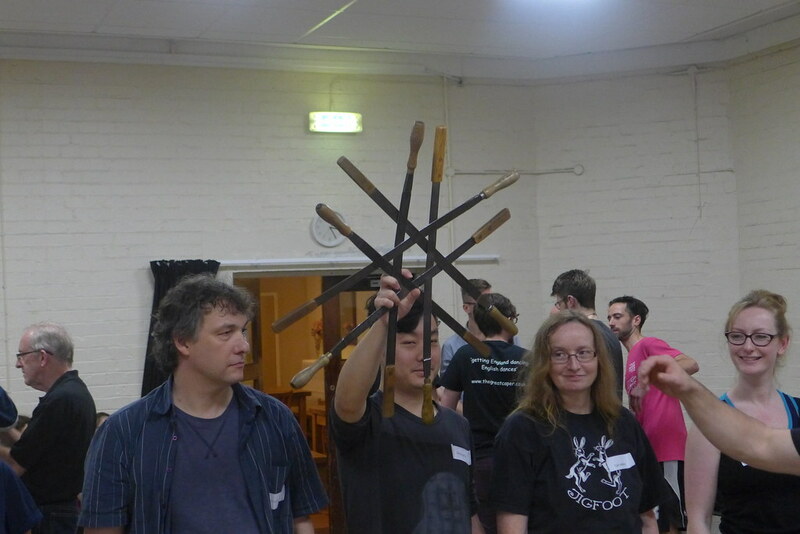 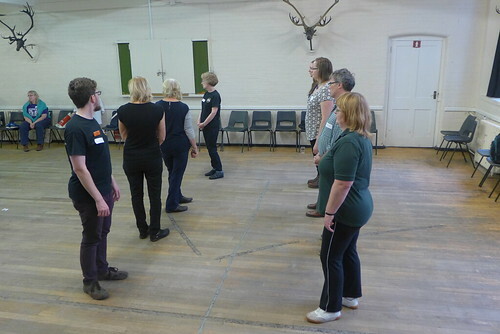 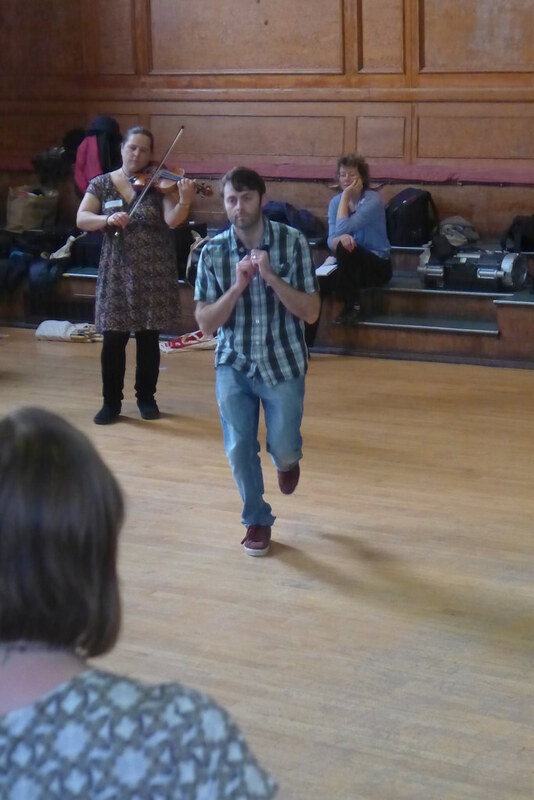 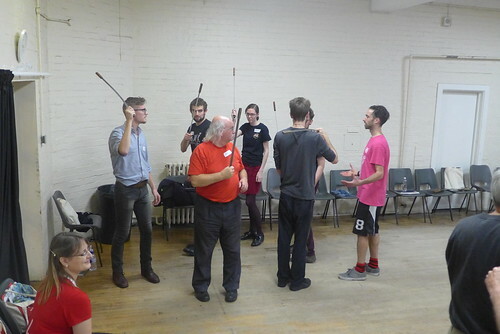 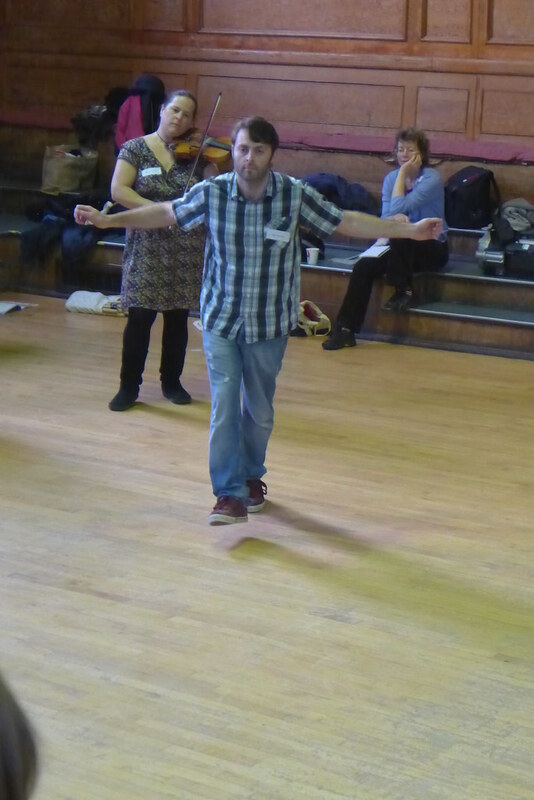 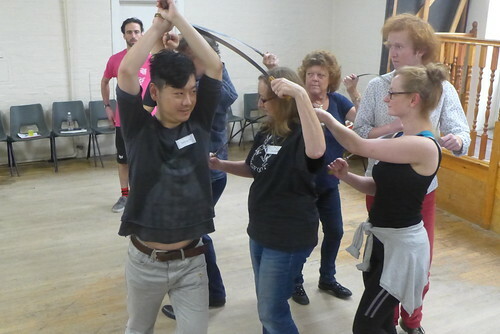 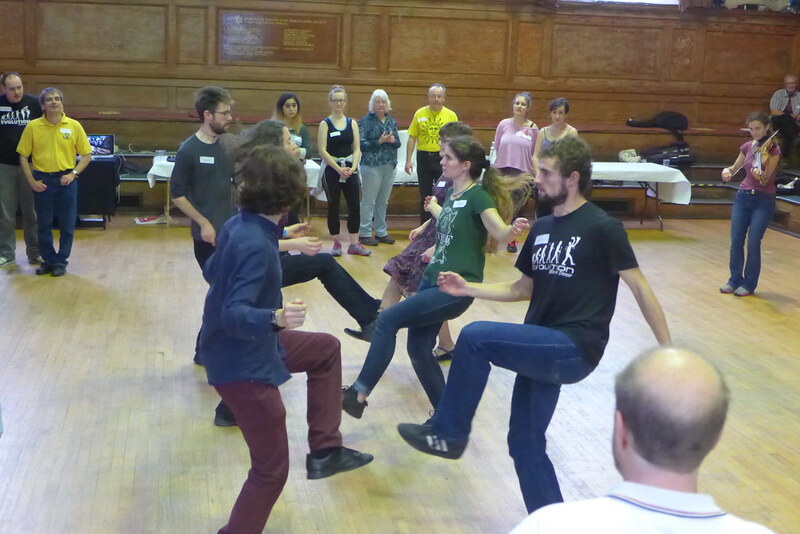 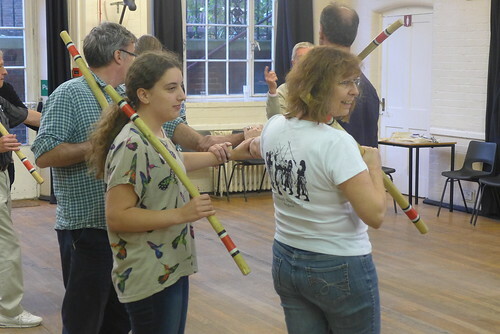 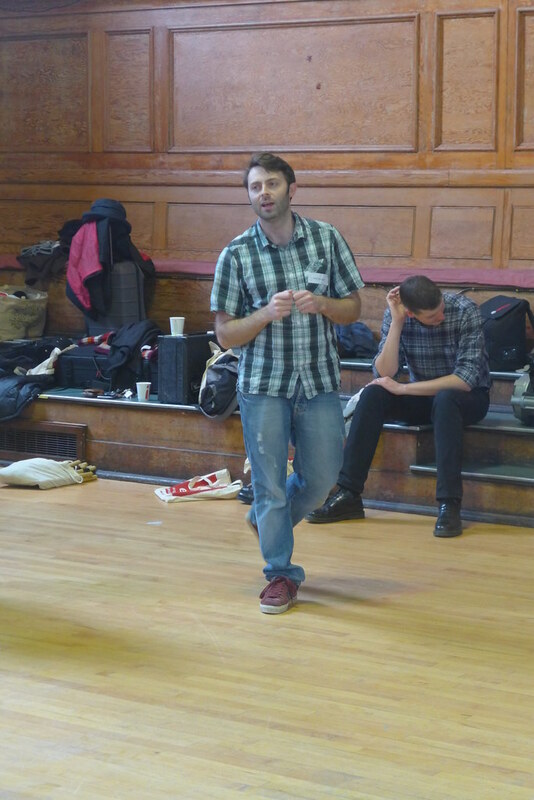 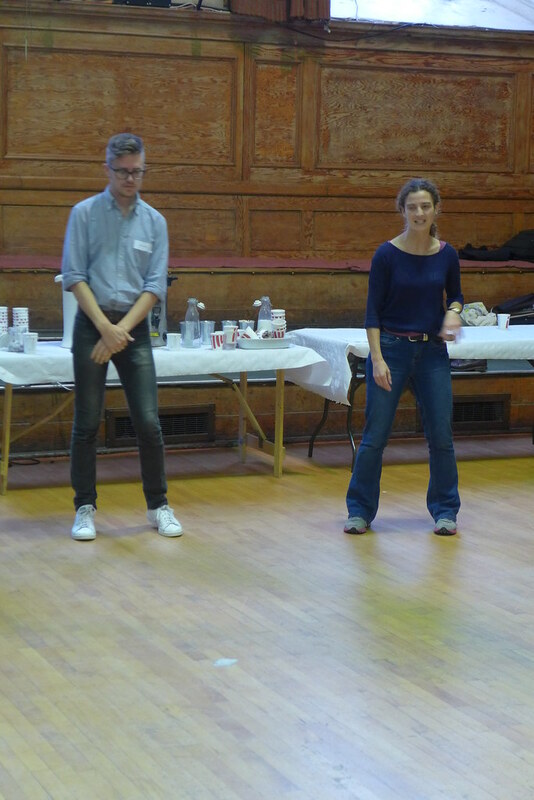 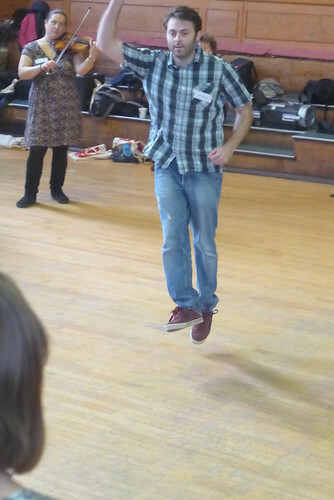 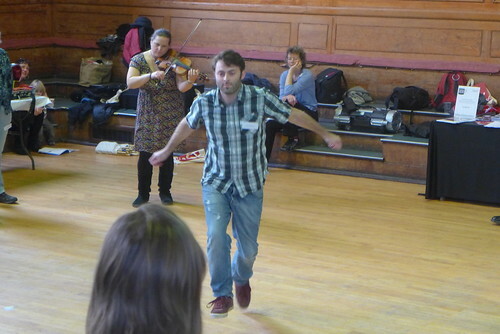 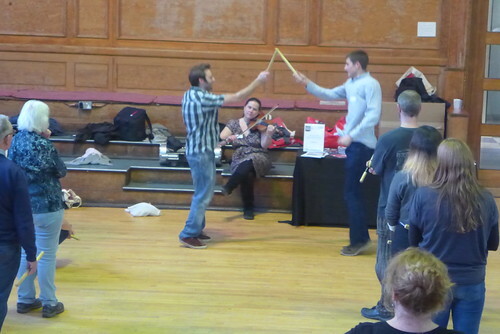 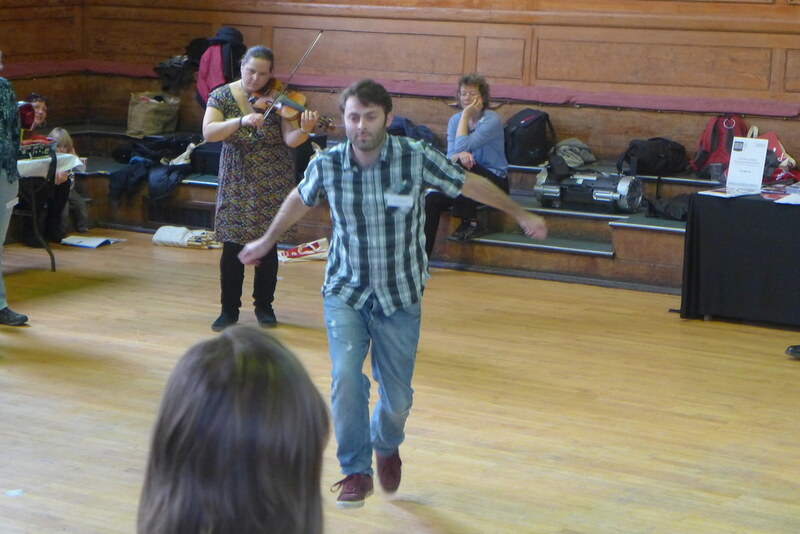 These included Developing Sword Dance with Damien Barber and Bobak Walker; Will Hampson and Bryony Griffith’s exploration into fun and engaging Cotswold for Primary; and Pass It On! 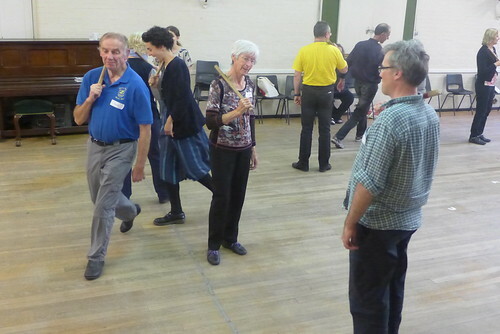 Ways and Means with John Bacon, Ann, Bacon and Jane Pfaff. 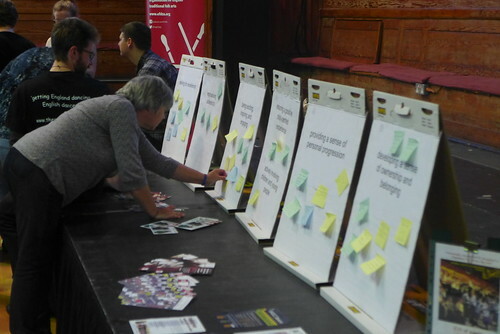 The day concluded with a highly constructive floor discussion on the seven Quality Principles in light of everything that had come out of the day, a critical analysis of them and possible ways in which they might be implemented. 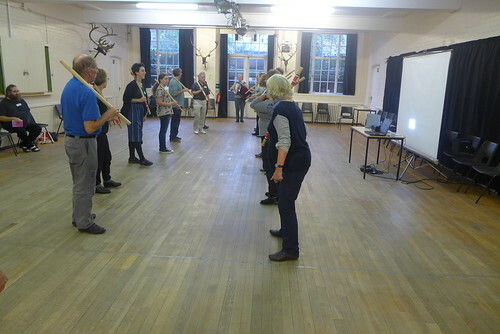 Clearly, one of the day’s vital aims – to start the conversation about the condition of morris dance teaching today – was a strong success. Our hope is that this is merely the beginning, and that it won’t be long before we start seeing not just more, but also higher quality morris education, both in schools and beyond. 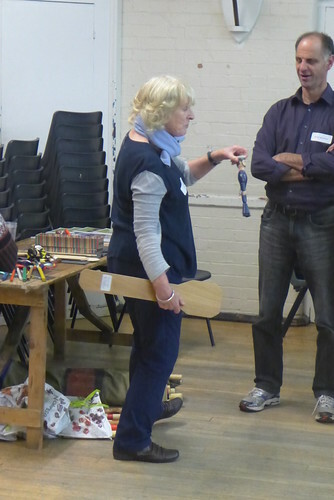 "I enjoyed the mixture of talks and physical participation sessions; having a chance to see how others adapt their teaching for children." 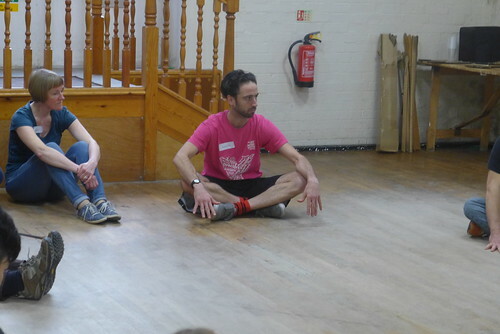 "I learnt so much - to keep going and that there is a great network of people to support you." 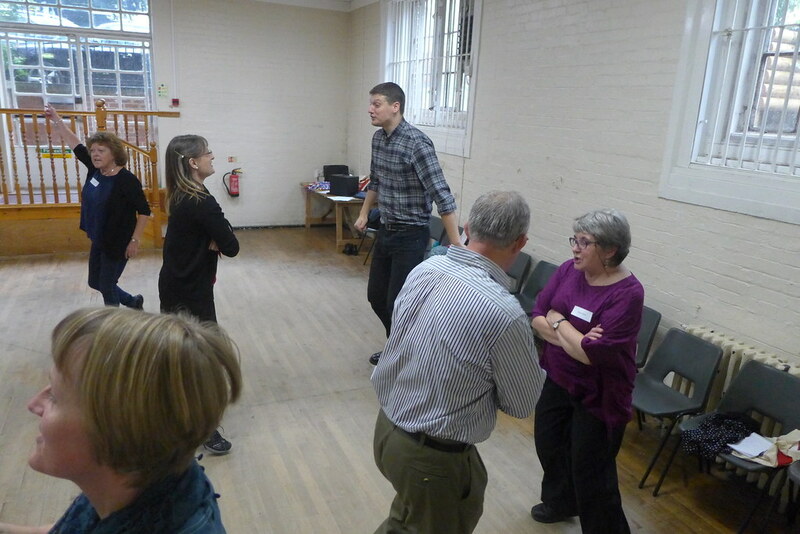 "Chatting with other practitioners raised my awareness of how much more professional folk educators are becoming"
"As a result of today I will be better prepared for new after school sessions this Wednesday!"